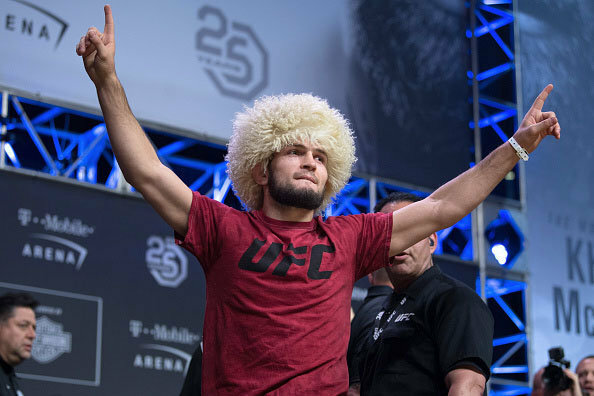 Current UFC Lightweight Champion and UFC 229 firestarter Khabib Nurmagomedov took to Twitter today with some interesting claims. Obviously this may just be a fighter who is currently embroiled in controversy that may cause him millions of dollars and his US work visa, looking for a way to change the narrative and turn the tides of the news cycle away from his Las Vegas brawl and towards something more “entertaining”… the WWE. WWE has not yet commented on the supposed offer. Khabib is currently in the headlines due to the post-fight brawl with Connor McGregor after last Saturday’s UFC 229 event in Las Vegas. Khabib defeated McGregor in that fight.